My name is Rainer Reinhardt, TR3/4a/6 and racecar driver form Germany. Kas Kastner has given me your email address after I read his latest book on Triumph. I was surprised to find an article about the Peyote MkII you have bought in the meantime. 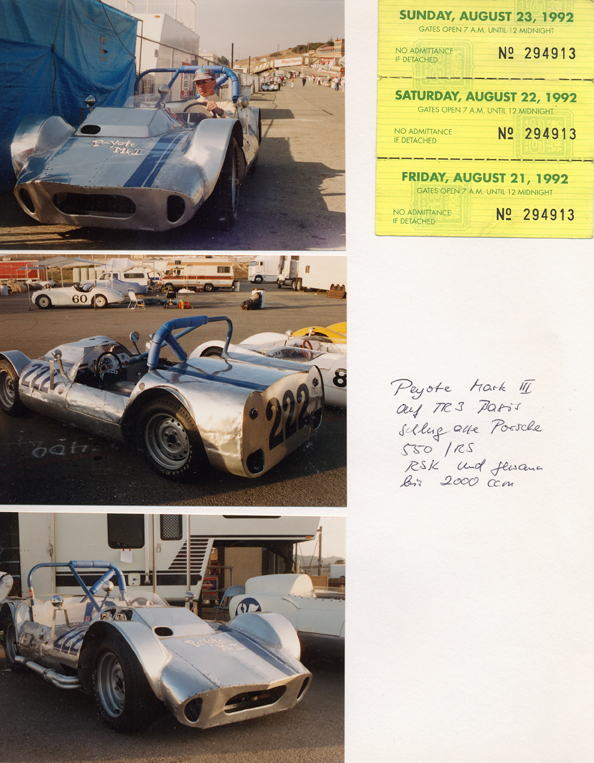 Years ago in 1992 I saw the car in Laguna Seca. The owner these days was Baxter Culver. 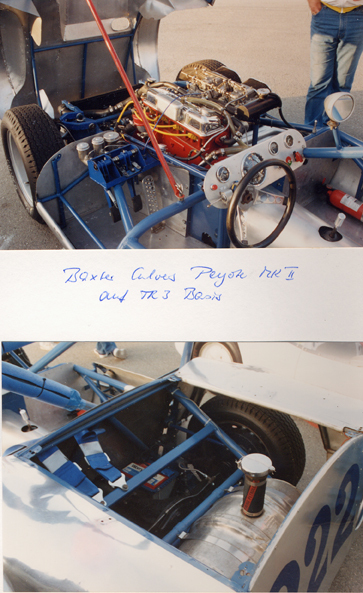 I spoke to him about his racecar and took some pictures. 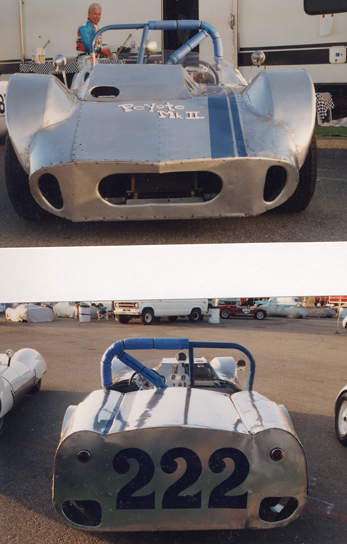 I thought you might be interested in the history of the car that beat all the Porsche 550 and the RSKs easily. Therefore I attach seven old pictures of your rare beast.